Pimp My Jeepney! [Video] Jeepney Art Festival | LIVING IN THE PACIFIC - Philippines to Guam... One Day at a Time! Pimp My Jeepney! [Video] Jeepney Art Festival – LIVING IN THE PACIFIC – Philippines to Guam… One Day at a Time! Jeepneys are the most common form of public transport in the Philippines. In the city, jeepneys crowd the streets and are usually packed with many passengers. This is one of the cheapest ways to get around if you live in the Philippines… almost anywhere you want to go in the cities, you can get there on a jeepney. 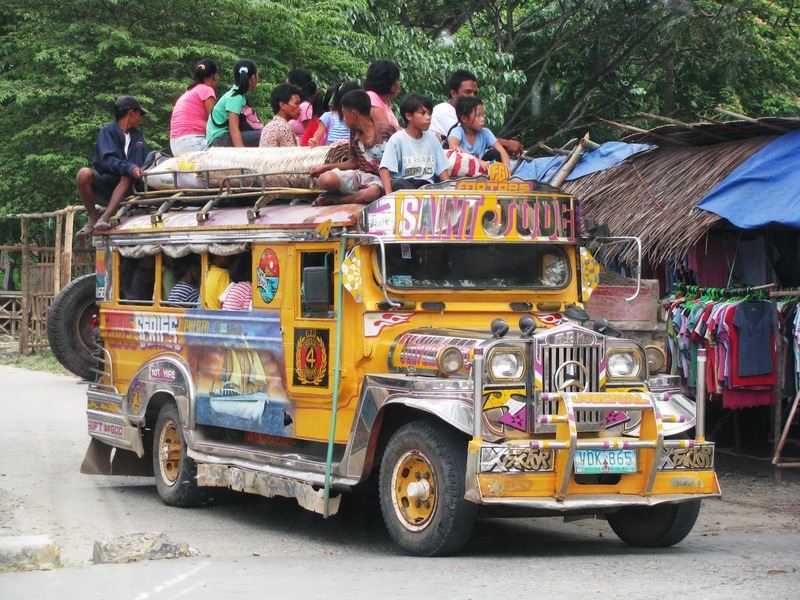 In the provincial and more rural areas, jeepneys offer transport to more than people. Chickens, pigs, 50kg sacks of rice. I’ve even seen a carabao (water buffalo) riding in a jeepney with it’s head hanging out the back. The origin of the jeepney began out of the remnants of the American military presence in the Philippines during the second World War. The thousands of American jeeps left after the war were scavenged, modified and utilized as transport vehicles. The Filipinos converted these jeeps by stretching the frames, adding a cover and placing two long bench seats (opposing) to be used like buses for the cheap and efficient transport of people and goods. They have become a mainstay of Filipino culture and an iconic symbol of Filipino ingenuity. Even though I have owned and drove my own car in the Philippines, I always managed to use jeepneys whenever It was to my advantage. It was actually cheaper to ride the jeepneys than operate your own vehicle. The Philippines is one of the few countries in the world where you can rely on public transportation for almost everything. If you are thinking of driving in the Philippines, you must learn the “Art” of horn honking. It’s simply a matter of survival! Visit my recent Horn Honking article for more information. Have a Jeepney story of your own? We would like to hear it! 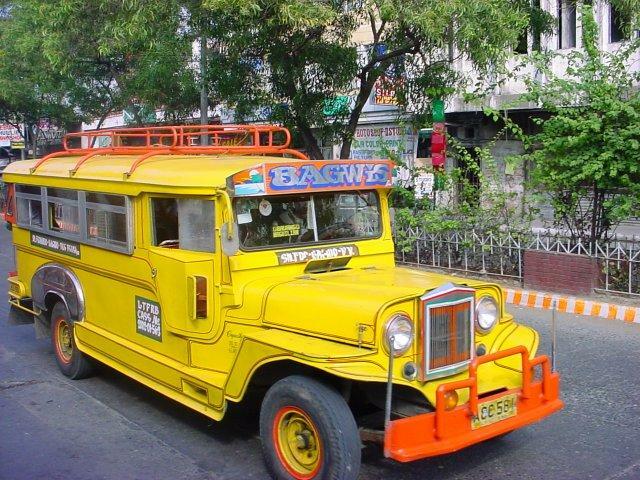 Tell us your most memorable Jeepney adventure or what’s the strangest thing you have ever witnessed with a jeepney? Check out the video below about the Philippine Jeepney as turned into a cultural event in Manila…The Jeepney Art Festival. This entry was posted in In the Philippines and tagged bus service, cheap rides, getting around, its more fun, Jeepney art festival, jeepneys, jeeps, Philippines, public transport, taxi, transportation. Bookmark the permalink.